If you recently purchased a Jeep, your friends might be pushing you to opt for a lift kit. These modifications will transform your vehicle into an off-roading monster, as the improved road clearance and revamped mechanics will allow you to travel through any types of conditions. Assuming that you opted for a reliable and reputable lift kit, it’s unlikely that you’ll see many major changes to your Jeep’s operation. Sure, the higher ground clearance and the bigger wheels could slightly reduce acceleration or power, and you might find that handling is a bit rough. However, while many drivers expect major changes to the Jeep’s capabilities following the installation of a lift kit, that really isn’t the case. If there’s one impact on the driving experience, it could be the fact that drivers will notice that their Jeep will occasionally squeak. That’s because the revised suspension kits rely on urethane bushings, and the material can end up squeaking during operation. Of course, the random sounds shouldn’t be enough to dissuade you from opting for this modification. Now, if you’re only going to be lifting your Jeep several inches off the ground, it’s unlikely that any aspect of your vehicle will suffer. However, if the lift kit ultimately leads to unprecedented ground clearance, we can assume that your tires will surely need to be monitored. For starters, we’re assuming that the installation of a lift kit is accompanied by the installation of larger, more rugged tires. This inclusion is intended to accommodate the lift, as the elevated body might not even fit with the standard tires. While it’s certainly a good idea to add a new set of tires, you shouldn’t expect these parts to last all that long. After all, larger tires tend to hit the road more frequently, and their tendency to drive through any cracks on the road will quickly compromise the rubber. This certainly shouldn’t be considered a negative aspect of the lifting process, but it’s certainly something that should be monitored. The same logic applies to the literal wheel, as an inadequate tire could deteriorate if it isn’t a proper fit. When an oversized tire is spinning on a standard wheel, the rubber could begin to rub against the fender or wheel cover. This is tolerable for some time, but you’ll eventually find that the rubber is beginning to fail. The Jeep’s standard fender flares and mud flaps will have a similar impact on the vehicle’s tires, as they should be a proper fit if drivers are hoping for optimal performance. Predictably, since your Jeep will be undergoing such drastic modifications, it’s likely that you’ll have to revamp other aspects of your vehicle. First and foremost, it’s essential to switch up your current braking system, as the standard parts might not mesh with your newly-installed parts. For instance, upgraded tires might increase the vehicle’s weight, in which case the stoppage power will be drastically altered. In most cases, the lift kit will be accompanied by a new braking system, but this isn’t necessarily always the case. We’re continuing to assume that you’re going to be installing a top-of-the-line lift kit to your Jeep, and in that case, you should see increased value in your vehicle. Now, conventional wisdom says that a used ride will automatically see a reduction in value when it’s purchased and driven off the lot. However, lifted Jeeps are still desirable, and they can be quite costly. As long as your lift is subtle and not dramatic, you should anticipate that prospective buyers will be clamoring over your SUV. Of course, there are a variety of additional variables that can influence the price of a Jeep. The vehicle should be properly maintained and devoid of any scratches or dents. Furthermore, if the vehicle has fewer miles on the odometer, it will end up being more desirable to prospective buyers. Still, just because you’ve modified the vehicle, you shouldn’t expect reduced value. At the end of the day, this is what it’s all about! You’re presumably not going to modify your vehicle to make it more intimidating or provide you with a more exhilarating commute. Rather, you’re going to want to make your Jeep more apt at traveling off the beaten path, and a lift kit will undoubtedly achieve this goal. By providing additional ground clearance, drivers won’t have to worry about any obstacles they come across. Thanks to the increased space beneath the Jeep, drivers can easily conquer any rock or log. Furthermore, the larger tires will allow the driver to overcome any road conditions, allowing you to continue to crawl through the terrain. Finally, the lifted Jeep will provide the driver with an improved view of their path, helping them anticipate upcoming obstacles or hazards. The revamped viewpoint will also impact your daily commute, as you’ll find similar benefits when you’re driving on a standard road. It should be rather evident that a Jeep lift kit is a perfectly logical target for those off-roading enthusiasts. However, if you don’t want to install all of the necessary parts, where should you go to purchase that modified Jeep? 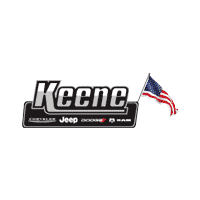 Well, if you live in the Keene, New Hampshire area, then you shouldn’t visit any dealership other than Keene Chrysler Dodge Jeep Ram. The dealership sells an assortment of lifted jeeps for very affordable prices, and they even provide the parts and service to help you maintain the modification yourself. Thanks to the helpful and knowledgeable sales and service teams, it won’t be long before you’re driving through the woods in your recently-lifted Jeep.